Stress testing gives a complete picture of your network’s performance and health at any time and helps you understand the level of traffic you can handle. Many network administrators tend to ignore stress testing and instead focus more on bandwidth performance and latency. Unfortunately, that’s not the right approach because good bandwidth utilization alone doesn’t mean good network performance. In fact, bandwidth utilization is one of the pieces of the network analysis puzzle and that alone is not sufficient. In general, no single metric gives you a complete picture of network performance, but a collective analysis of each of these parameters is essential because these networks are fully duplex, and asymmetrical too, in many cases. A Network Stress Test will determine the ability, efficiency and performance of your network under unfavorable conditions, so you can decide on ways and means to strengthen it. There are many tools that will simulate specific unfavorable conditions, so you’ll know how geared your network is to handle these situations. Traffic generators are a class of software that induce congestion (traffic) to your network to stress test its ability to handle traffic in real-time. There are different Network Traffic Generator tools and software available in the market, and some of the best ones are listed below! Let’s take a detailed look into each of these tools and see where to download them! 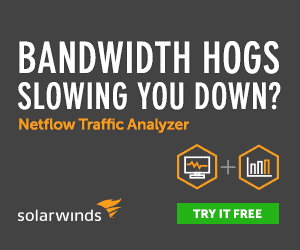 WAN Killer from SolarWinds helps to do stress tests to check the ability of your network to handle large volumes of traffic. Set the IP address or hostname of the device to which you want to send random traffic. 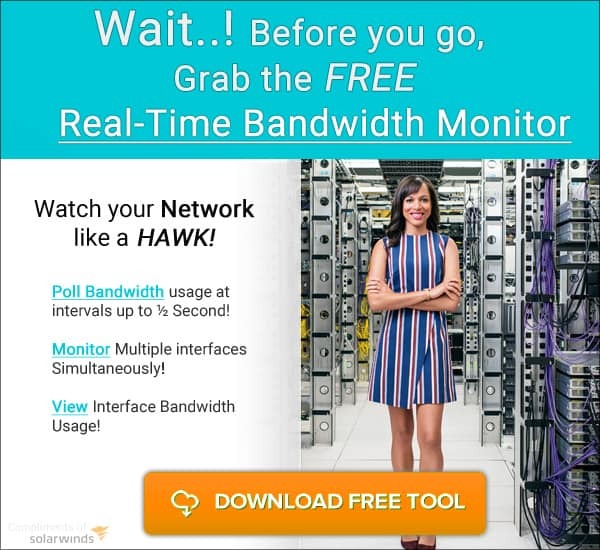 Set any packet size and circuit bandwidth percent to load random data on your WAN. Track UDP/TCP packets to check how your network performs under specific conditions. Understand network thresholds and with it, enhance your network’s performance. Modify the Differentiated Serves Code Point (DSCP) and Explicit Congest Notification (ECN) settings. 30 Day Free Trial Download below! Down a Fully Functional free trial below! Ostinato Packet Generator is a powerful network traffic generator and comes with a Python API for network test automation. Ideal for load and functional testing. Supports most common standard protocols like Ethernet, VLAN, TCP, HTTP and more. You can stack protocols in any order to test error cases. Many controllers can share an agent, and one agent can have many controllers. Makes it easy to add new protocol builders. You can set a value for any field in any protocol. Open source and licensed under GNU GPL v3, so free to use. Packet Sender is a free utility to send and receive network packets and in the process, helps to understand the ability of your network to handle large volumes of traffic. In addition, it can be used for testing network APIs, malware analysis, testing network connectivity and firewalls, and security research. It can send and receive TCP, UDP or SSL. Works with both ASCII and HEX data formats. Works on Windows, Linux and Mac. You can save or share using the cloud version. 100% FREE. No ads or bundles are associated with it. Nping is another open-source tool for response analysis, response time management and network packet generation. It can also be used as a simple ping utility to identify active hosts. Flexible and powerful command line interface. Supports multiple target hosts and ports. Non-root users are given unprivileged access modes. Supports Ethernet frame generation and IPv6. Its echo mode is helpful for advanced troubleshooting and discovery. Trex is a traffic generator tool fueled by DPDK. It is an open source software that works well in both stateful and stateless modes. Scales up to 200 to 400 GB per second with one Cisco UCS. Python APIs are available for automation. Works well for stress testing DPI, NAT, Firewall, IPS, Load balancer and network cache devices. NetScanTools Packet Generator creates packets to send to a target IPv4 address. These packets can be created in many formats such as TCP, UDP, ICMP, CDP or RAW. It can playback previously captured packet files. Helps to understand the exact packet types that are getting lost between machines. Uses WinPcap to send packets, so the network interface should be compatible with it. Works best with a wired Ethernet connection or a 802.11 wireless interface. Gives full header control for predefined packet types. With simple scripting, you can send different types of packets. Cost is $249 for one user installed version. Download a fully functional version for a trial period of 30 days from here. PB Software’s Network Traffic Generator and Monitor is an IP traffic generator that works on many types of IP networks. All components can be run in the automatic mode. Emulates client and server activity within minutes. You can search a domain by specifying its IP address, set the number of pings, limit the lifetime of data stored in a computer or network. Generates traffic with little effort. Allows to inspect ICMP, IP, TCP, and UDP statistics. Monitors every aspect of each server’s activity. There are many editions, and each is priced as follows. You can download a trial version here. Thus these are the different testing tools that can be used to test the performance and efficiency of your WAN/LAN networks. Above everything, you’ll know how much stress your networks can take, and this can be particularly useful for planning your traffic. 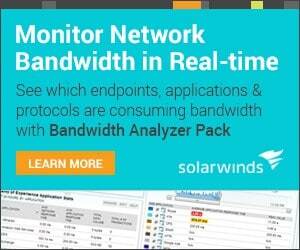 So, download the tool that’s most compatible with your network, and start testing today!